The Cranberries are set to release Something Else, a new album featuring re-worked renditions of their major hits, as well as brand new material. 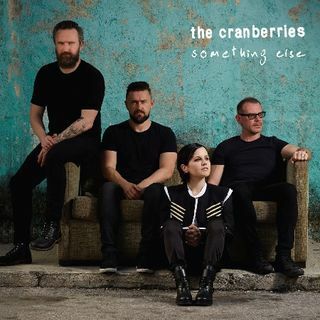 The album is due out April 28 via BMG on digital and CD formats, and includes seminal Cranberries songs like "Linger," "Zombie," "Dreams," and "Ode To My Family"... re-recorded in orchestral and acoustic arrangements. The album is now available for pre-order. "'Linger' was the first song The Cranberries ever wrote together. I was 17, and the youngest member of the band was 15 at the time. We never imagined it'd be such a big hit, but soon us teenagers found ourselves on our first flight to the United States to shoot the video in Downtown LA. That video would introduce us to American households, in the good old days of MTV! The bittersweet love song still holds all that sentimentality for us personally, which is why we had to include it on this project. Universally, I think its message remains timeless and relevant, never going out of fashion, yet never quite in fashion. It's amazing to have a song hold up 25 years later, and I hope this acoustic version allows our fans to hear a Cranberries classic in a new way." "Linger " is available now for download and streaming. The full album is available for pre-order on digital and CD formats.